Madison got a sewing machine for Christmas and mommy was just as excited for Santa's delivery as Madison was! True, I took sewing classes in home ec classes in high school, but I failed most attempts miserably (Along with all other aspects of home ec class! I saw no purpose for such lessons when I would never be doing any of it. Mrs. Murphy should see me now:-) I just recall becoming very friendly with the seam ripper tool!!! Now I have a chance to redeem myself. I salivate perusing the craft blogs and all the amazing sewing projects out in blissful blog land. So I decided I must try a few. The nice thing with creating for kids is they are not going to judge your crooked stitches or uneven hemlines. And believe me, I will be making many of both of those along with every other possible mistake you can imagine. But that's okay with me, so don't laugh when you see my children walking around in some very odd clothes made by mom. Just tell me you think it is sweet and charming! I made this cute t-shirt dress for Nora and am preparing to make Madison one. 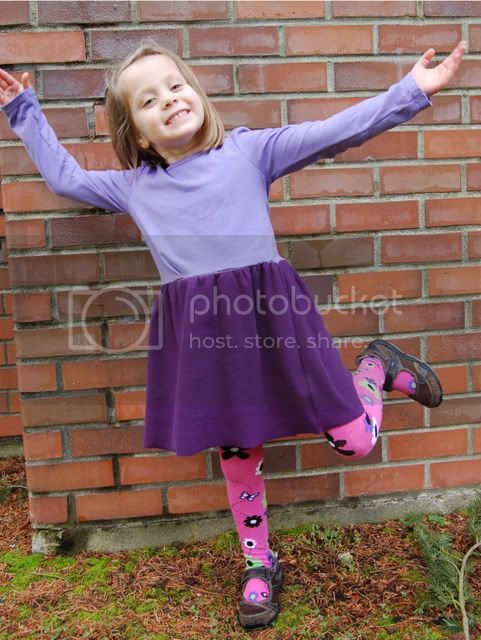 I still want to add cute embellishments to Nora's purple play dress like fabric flowers or maybe some freezer paper stenciling..... There are MANY flaws to the dress but for a cute hang out dress I think it is cute and I am envisioning summer dresses using old tank tops and such. FUN FUN. HERE are the directions from the fabulous Ruffles and Stuff. She says the dress took 15 minutes to make her, I think it took me 2 hours. Most of that time trying to figure out how to sew a gathering stitch. Nora is in major count-down mode until the big day. On February 10, if you weren't aware, my baby will be turning FIVE. And she wants to be prepared. Today she created her birthday guest list (on the left) and gift wish list (on the right). We also discussed theme plans that ranged from puppy party to princess party and everything in between. At one moment, she was trying to convince me a rainbow fairy mermaid celebration was what was needed. I think we have narrowed it down to a rainbow fairy party, for today at least. I am looking forward to party planning that is kid done with Nora's hand being involved in invitations, decorations, baking and more. My very insightful friend Katy posted this about her daughter's birthday cake, which was absolutely adorable. As moms, I think we often get caught up in what WE think looks good and how WE want things to look instead of looking at it through the eyes of a a five year old..... Goes back to many of my philosophies on early childhood education, that I won't bore you with at the moment. So most likely this will be the gaudiest, craziest and FUNNEST five year old rainbow fairy party that we can have! Looking forward to it!! I suppose it could have been better. Like if we were on a beach in Hawaii or Mexico but I have to say that we had an amazing day at the beach in Washington. Started out a little questionable when we were driving through pouring rain, there was high wind advisories for the straight and the drive ended up just a titch longer than we expected. But the farther we drove, the skies began to turn blue and we eventually arrived at our destination with blue skies, sun shining and no noticable winds. Pretty extrodinary for a January day on the Puget Sound! We spent the Monday holiday at the Dungeness Spit on the Puget Sound. We were going with the intent of bird watching at the National Wildlife Refuge, but I guess the birds didn't get the memo since they were few and far between. But the gorgeous weather and amazing scenery made up for the lack of wildlife, though we did get a few seal sightings which was exciting. The beach had perfect rocks for CAIRN building (Tom had to educate me on that technical term!) Both Tom and Madison got towers 11 rocks high!! The girls were thrilled with just playing on the beach, as always! It took us over an hour to walk half a mile, due to the constant stopping for play times. They especially liked playing Tsunami and running away from the waves. Though Nora get getting her words confused and would yell "SALAMI" instead of tsunami!!! I am so glad we decided to spend the day with this fun adventure and were willing to put the effort into going somewhere new. And we are always thankful for such amazing car traveling girls! We really weren't expecting to be in the car 6 hours round trip and weren't quite prepared for that but they were great with no complaints what so ever. This is the BEST blog give-away I have seen to date. 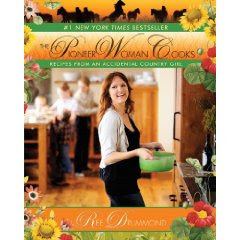 The Pioneer Woman (LOVE HER!!) is having a blog drawing for 2 $500 donations to the charity of your choice that is doing work for the Haitian relief effort. AND for every comment she receives she will donate another 10 cents. She is currently up to 16,000+ comments!!! Oh, and have you seen her cookbook?? It is in the top 5 on my always growing cookbook wishlist. So go on over and add your 10 cent comment and then maybe you will think of how you and your family can help contribute in your own way to the relief effort. Tom and I will be having the conversation tonight. I can't even begin to fathom the devastation they are dealing with. Makes me hug my babies even tighter! Okay, I am sure no one but myself is interested in this but I feel it necessary to get my plan set for my scrapping for the year. Last year was by far my most productive year with following through on a plan and I want to continue with the momentum. 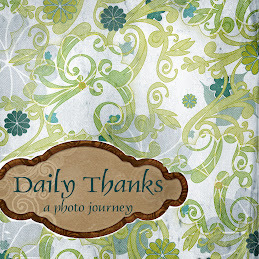 Along with completing my Project 365 album, I worked on my 2008 album and am a few layouts away from being 100% complete. Hoping to share that in a post within a week or 2. So like last year, this year I will be working on 2 albums. This is an extremely long post giving you way too many details on one of those albums so prepare yourselves, or click away now. I purchased the Project Life kit, which is made by the amazing scrapbook designer Becky Higgins. She is the same one who did the Project 365 album last year and this is along the same lines but even BETTER in my opinion. First of all, it is made so you could do a Project 365 with it or just use it to document your life however you want. 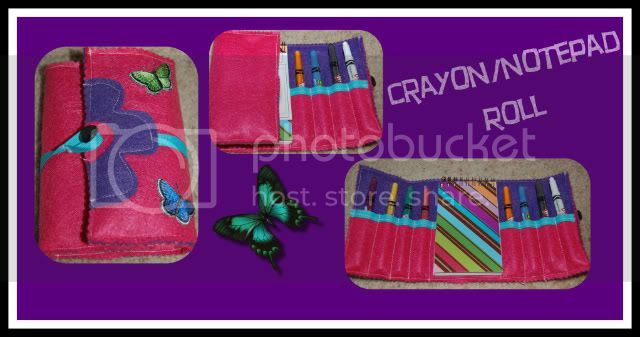 It is complete with the album, page protectors, coordinating title cards, journaling cards and embellishments. FABULOUS!! And this is great for non-scrapbookers. No gluestick needed, just put the photos into their pockets, write on the journaling cards and you are done! Check it out on her blog HERE and HERE. Along with all the super cute coordinated supplies, everything is packaged in adorable boxes that can be reused for all your photo and scrapping supplies when you are done. FABULOUS!!! If you are wanting a kit, they are still available but she is in the process of switching over to selling it on Amazon. It should be available there in the next few weeks. Most people I know are using the album for the 2010 family album. I debated this but want to get back to a little more traditional scrapbook and have something a bit more creative and unique (more about that soon). So instead I am using Project Life to deal with this disaster. PLEASE someone raise your hand and say that you have boxes and baskets and tubs and bags full of photos just waiting to be dealt with? Well, I have them too and just feel sick everytime I look at them. They are pre-DSLR camera (many even pre-digital camera!) and as important as the photos are in representing our lives and the people we love, I know they will never inspire me for scrapbooking (not to mention the time that I don't have to invest in dealing with them). So thanks to Project Life I now have a solution! A pretty place to put the photos without me needing to dwell on the horrible angles, bad photo quality, finding cute embellishments and the perfect layout design...... And most importantly, an opportunity for me to journal about important people and events in our lives before those memories have left my brain FOREVER! Here are the pages I put together TODAY in about an hours time. Tom's Grandpa Charlie's 80th birthday celebration 5 years ago, where his very large family celebrated with a grand reunion in Idaho. It has made me sad to know that these photos (along with so many more) have been sitting in boxes where the girls can't look and enjoy them and talk about the family members. Now it is taken care and on to the next event. They are nothing fancy but the photos are organized and documented and that makes me happy! I know that this album won't fit ALL the photos but it will be a good start. I am thinking to attempt 2000-2005 in this one and then move forward or backward from that. I am kind of counting on Becky creating a new album next year to help me continue with this project. Want to see how others are using Project Life? Check out The Mom Creative blog for a McLinky to 50+ Project Life posts. Also included in Nora's bed are 1 camera, 1 headlamp, numerous pencils and crayons, 1 notebook, gift box complete with bow, soccer trophy and who knows what else. I don't know how she fits!!! I have now completed Project 365 and have an album that represents our year with one photo taken for each day. In the end, I have mixed feelings about the project. Having this format allowed me to catch up on prior years of scrapbooking so I am pretty much caught up to the year 2010, minus a few layouts in the works and random photos from years earlier than 2007 that I have a different long-term plan for. This project allowed me to set the camera down more to "enjoy the moments" with the family. I was starting to find that at every hike, outing, adventure, event.... I was taking pictures more than I was interacting. I appreciated knowing that I only needed one decent shot representing the event/day and then I could put the camera away and be a part of the family. It forced me to start journaling more, which has always been a weak point in my scrapping. I learned to embrace my handwriting and now find I am willing to add my own handwriting to traditional scrapbooking pages and am just more aware about adding journaling to all of them. I really liked the intent of capturing the small moments. I had starting doing a bit of this in 2008 with a few layouts but now I will be more intentional about those types of photos. I have a 100% completed album for a year of our life!!!!!! I am just not in love with the final look of the book put together. Flipping through it doesn't give me the same feeling as my other scrapbooks do. I think it is the lack of similarity in the pictures and absence of "white space" for the eye to rest. There isn't one focus point for pages and is just too scattered for me. In hindsight, I realize there were ways to help with this that some of my friends did (printing with white border, adding photoshopped masks to photos...) or other possible solutions but by the time I realized the issue I was too far into the project to turn back. Even though I have lots of the little moments captured I still feel that I am missing some of the big picture of our lives for the year. Especially for larger events, holidays and outings it was hard to represent that with just one or two photos. Because I was just going for the photo of the day I didn't get as many WOW photos this year as I have in the last few years. I completely failed with my goal to have more photos taken of Tom and I. I think we each only made the album a handful of times. I have tried to get better about this the past 2 years and have just failed miserably and not sure how to tackle the issue. SO, overall I am thrilled I did the project and learned alot from it. I took alot of photos that I am really happy with and feel a sense of accomplishment in reaching my goal of completing the project on time. I am now wrestling with the plan for 2010. I MUST have a plan and need it formalized ASAP. I have a number of options I am wrestling with and hope to post in the next few days on what I have come up with. We had a quiet welcome for the New Year. After dinner we sat and looked at my Project 365 album. It was fun to look at one photo for each day of the past year. Then each family member wrote a few of their favorite memories onto a journaling card to add to the last page of the album. We then had our annual Movie and Milkshake night for New Years. The girls enjoyed their first viewing of Aladdin. After they went to bed Tom and I enjoyed Harry Potter. Today we ventured into the mountains for some fun sledding and snow play. It was perfect conditions with nice new powdered snow. This was a bit of an information seeking mission and we are looking forward to more snowy outings this winter now that we got the gear organized and locations found.